Here’s to the things that are to come and to the memories that we hold. Very shortly, we will be celebrating another New Year and another year of great music for our communities performed by our great orchestras. Our volunteer support is crucial to their success. How are you keeping up with the changing times for orchestras? What is new and how can we be innovative and more successful in our support? The St. Louis Symphony Volunteer Association (SVA) has an innovative committee for their members – One and Done. This committee is designed for members who have limited time to volunteer or attend meetings but may be available on short notice. In its second year of implementation, this committee consists of 80 SVA members out of a total of 368 members. Members are asked to list their skills, what they want to do, and their available times. They are then contacted when a need arises. It has been an excellent way for new members to get involved. Because One and Done does projects for both Powell Hall staff and also supports other committees of the SVA, new members often get an idea of where they would like to volunteer in the future. It is also popular with many existing members who want to contribute, but don't have a lot of time to volunteer. When a volunteer opportunity arises, the chair or vice chair of this committee receives the request for assistance and then communicates via e-mail to the One and Done team. Information given includes the activity description, date, time required, number of volunteers needed, and logistics. Most of these requests come on short notice and typically involve only a few hours of time. This committee works on a "first come, first served" basis to fill the volunteer slots. If the member is not interested in the volunteer opportunity, he/she simply ignores the request. When the volunteer slots are filled, the Chair or Vice Chair sends an e-blast out to the One and Done members stating that the opportunity has been staffed. SVA president Becky Brown said, “One and Done members have assisted Powell Hall departments like the box office, marketing, education, and development. They have also worked with several existing committees on special projects for our SVA fundraising, education, and membership functions.” Recent tasks have included picking up furs going for auction, serving as Santa's helpers at Powell Hall holiday concerts, ushering at special events away from Powell Hall, assisting with mailings, setting up event space for membership meetings, and transporting artwork from the Picture the Music competition to different community venues. Picture the Music is a creative art competition where students in kindergarten through sixth grade, inspired by a selected symphonic work, create pictures. One and Done appeals to a large number of volunteers. The committee members are energized since they can devote a small amount of time to a project but still see gratifying results. The membership can diversify and build the strengths of the organization through great leadership and teamwork! Orchestras Feeding America is a project that the League of American Orchestras started in 2009. Jesse Rosen, League CEO and president, announced the project and partnership with Feeding America at the League’s National Conference in Chicago in June of that year. His message to orchestras was that although they were experiencing financial hardships, to be relevant they needed to reach out and support those in need in their communities during this very difficult financial time in our country’s history. His message was so compelling we brought it back to our symphony volunteer organization, the Southwest Florida Symphony Society in Fort Myers, FL. At the time, Fort Myers was reeling from the economic downturn, with an unemployment rate above 13 percent. Our local food bank, the Harry Chapin Food Bank, reported that from July 1, 2008 to June 30, 2009, they distributed six million pounds of food, an increase of 41 percent over the prior year. Harry Chapin Food Bank was established in 1983 to help serve as a safety net for the hungry in five Southwest Florida counties. The need was so great in our community, the Southwest Florida Symphony Society members met with Marta Hodson, community relations manager for the Harry Chapin Food Bank, to discuss ways we could help. 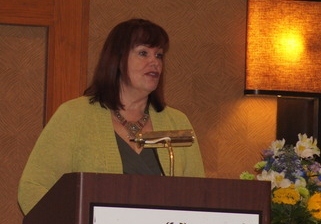 Marta suggested we collect non-perishable food at our monthly business meeting luncheons. Two of our long-time Society members, Bev Treichel and Thelma Gunter, agreed to collect the food each month. They set up a food donation table at our luncheons and greeted and thanked our members as they brought in their donations. A third Society member, Jean Taylor, agreed to write a brief “food donation” reminder in the Society’s newsletter each month. She also organized the delivery of the food donations. In a recent Society newsletter, Jean wrote, “After the October luncheon, 90 pounds of food was delivered to Harry Chapin Food Bank. They were so grateful and thankful. 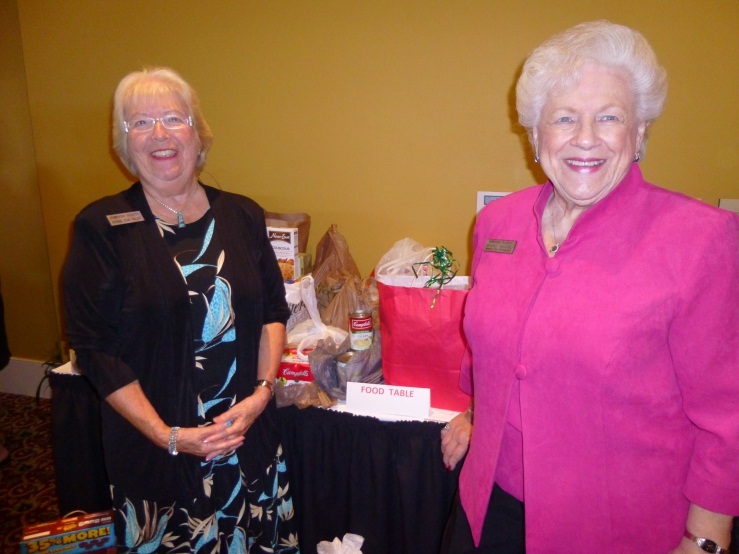 Please remember to bring your food donations to our next luncheon!” While she was delivering the food in October, Jean said a Harry Chapin Food bank volunteer relayed a story to her. A little girl was asked what she had had to eat one day. She answered that she did not eat that day – it was her brother’s turn. While our part seems small given the need, we have delivered almost 3,000 pounds since the fall of 2009. This is a simple, but caring, way to give back to our community – an idea we got from attending the League’s 2009 National Conference in Chicago! Jean Taylor, left and Bev Treichel, right. Not pictured Thelma Gunter. If you are looking for a fresh idea for your volunteer organization, look to the League of American Orchestra’s Gold Book Online. It is a treasure chest of ideas from volunteers such like you. Categories include: fund raising, community engagement, education, membership recruitment and retention, communications and technology, audience development, leadership/organizational structure, and service for your orchestra. This resource contains new twists for ongoing projects or creative new projects for your group to try. For each project, you will find project descriptions, resource requirements, and a person to contact should you desire further information. In addition to searching through the Gold Book online, we encourage you to submit your projects to the Gold Book Online. Not only will you be adding to this rich resource, your project just might win an Award of Excellence for your volunteer organization. Actually, everyone is a winner when we share our ideas with one another. Projects submitted in 2011-2012 will be available online in the new year. You can turn in your submissions for the 2012-2013 year now. The Volunteer Council is pleased to announce the winners of its 2011-2012 Gold Book Online Awards of Excellence. Each year, the Volunteer Council selects the projects they feel are the most successful and innovative from among all of the Gold Book Online submissions. 3 projects from the Charlotte Symphony Guild - Trivia Night: Engaging New Members, Classical Idol, and Comprehensive Communications. These 3 projects involved a fun evening for new members, a novel idea for a fund raiser, and the successful implementation of technology to enhance communications. A Fund Raising Workshop from the LA Philharmonic Affiliates that improved the fundraising capabilities of their members. The Diamond Jubilee project of the Indianapolis Symphony Orchestra Association which introduced many innovations to a traditional gala and was very successful at raising money for the orchestra. The Tanglewood Family Fun Fest from the Boston Symphony Association of Volunteers that attracted 2,400 attendees with family-friendly activities! The Let the Good Times Roll project of the West Virginia Symphony. It not only was a very successful fund raiser, but also introduced the symphony to new audiences and helped recruit new volunteers. The Love of Music Marathon of the Kitchener-Waterloo Symphony Volunteer Committee - a Community Engagement and fund raising project that reached out to families of young musicians and community music groups to raise money for the symphony, acquaint the community with the orchestra, and support community music-making. The Mon coeur est un violin project of the Association des benevole de l’Orchestre symphonique de Montreal that elevated a painted violin project to a new level and combined it with a gala ball. These volunteer organizations will accept their award at the League’s National Conference in St. Louis, June 17-20. Volunteer Council members have begun calling orchestra volunteer groups from among the League’s member orchestras to “touch base” and chat. These calls enable the Volunteer Council to learn more about what our member organizations are doing and to see how the Volunteer Council can be of help to them now or in the future. Learning about the issues and challenges our organizations share can help identify areas where the League of American Orchestras can provide useful service to a particular organization. For example, some newly organized volunteer organizations are gaining valuable help from Volunteer Council mentors as a result of these calls. Others are learning about League services for volunteers such as the webinar series, advocacy projects, and the League’s National Conference. 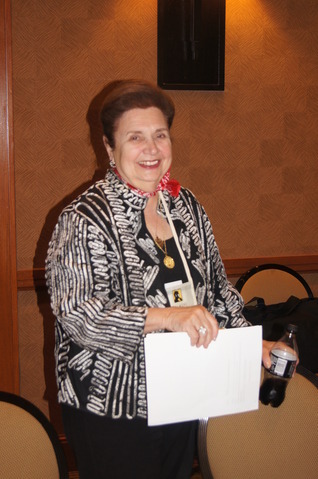 Becky Brown and her dedicated St. Louis Symphony Volunteer Association volunteers are eager to host the League of American Orchestras’ Conference in St. Louis. Save the dates of June 17-20, 2013! At the heart of the Conference will be a performance by the St. Louis Symphony under the direction of Music Director David Robertson. Conference registration and program details will be available online at americanorchestras.org.